The last few months have been VERY busy. Cory has been working six days a week and typically gone for about thirteen hours a day so it has just been me running after our three wild little monkeys. We love soaking up any time we can with him and though Sundays typically consist of running errands and trying to catch up, we try to make the best of it. Cory had to run into Canadian Tire to grab some new tools and while he says he will be a quick five minutes, I know better…he’s a guy’s guy and could be there for hours! So, we all went and of course…I ended up in the home decor section. Urban farmhouse not quite your style? Well, lucky you! Canadian tire has also created a Formal Mix and Tailored Rustic line as part of the CANVAS collection that just may tickle your fancy! Be sure to check them out, I have no doubt you’ll fall in love. Who needs an interior designer when they make it so easy to style yourself? What are your thoughts on the CANVAS collection? 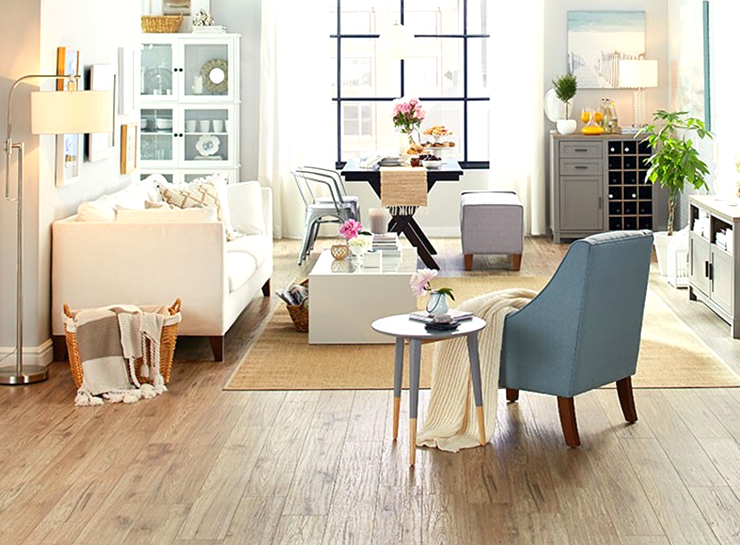 Which look best suits your decor style? Enter the contest form below and you could win a $250 Canadian Tire Gift Card! You could use that to start outfitting your home with the gorgeous CANVAS collection! Me too 🙂 gorgeous, isn’t it? I have my eye on that chair! I know me too, love that shade of blue! Good luck! I know, this collection really is something else. What piece would you buy if you won? Agreed! Its a beautiful shade of blue to brighten up any space! So excited about this collection! 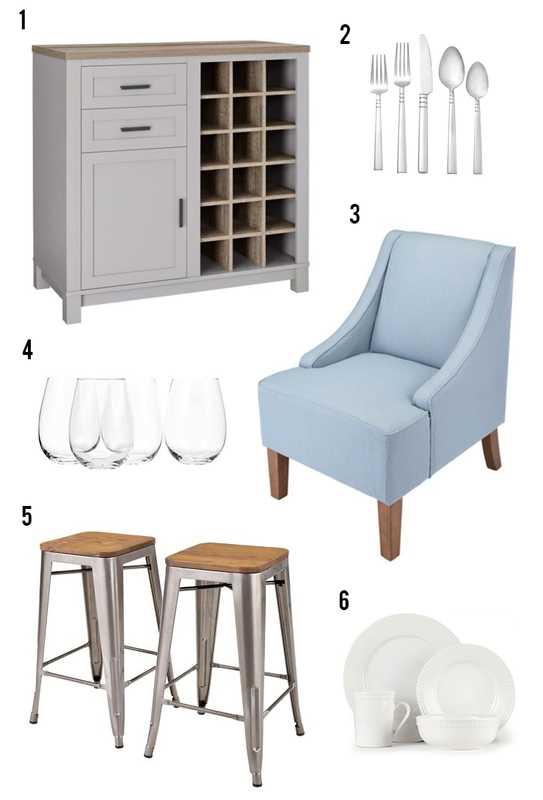 I especially love the dining room table & chairs – we will soon be in the market for a new set and this one is definitely on the list so a $250 CT gift card would come in handy. Thanks for the chance to win! Best of luck to you! And the dining room table and chairs are beautiful! That Camden beverage cabinet would be perfect in my dining room, I love it! Oh that’s great! I think it’s my favourite too! I am loving the urban farmhouse line! So impressed with canadian tire. I know, I don’t think there is a single piece Im not in LOVE with! I love the urban farmhouse look as it is so inviting. It definitely seems to be winning over a lot of people!